STUNNING LOW MILEAGE AUTOMATIC - FULL SERVICE HISTORY (5 STAMPS) - BRAND NEW MOT EXPIRY DECEMBER 2019 - UPGRADED REAR PARKING AID + POWER FOLD MIRRORS - LOW RATE % ZERO DEPOSIT FINANCE AVAILABLE - CALL US TO FIND OUT MORE! HERE FOR SALE AT LEIGH CARS LTD WE HAVE A SUPERB EXAMPLE OF THE POPULAR FORD B-MAX 1.6 PETROL ZETEC AUTOMATIC . THE ZETEC MODEL LEVEL COMES WITH A DECENT SPECIFICATION LIST INCLUDING ELECTRIC WINDOWS & MIRRORS, AIR CONDITIONING, BLUETOOTH CONNECTIVITY, FRONT FOGS, ALLOYS, HEATED FRONT SCREEN, AUXILIARY + USB INPUTS AND UPGRADED FACTORY FITTED REAR PARKING SENSORS & ELECTRIC FOLD IN MIRRORS. THIS FINE EXAMPLE COMES IN A STRIKING BLUE PAINT AND IS IN GREAT CONDITION FOR THE AGE AND THE MILEAGE. THIS CAR COMES WITH A BRAND NEW MOT - EXPIRY JANUARY 2020 AND A FULL MAIN DEALER FORD SERVICE HISTORY. 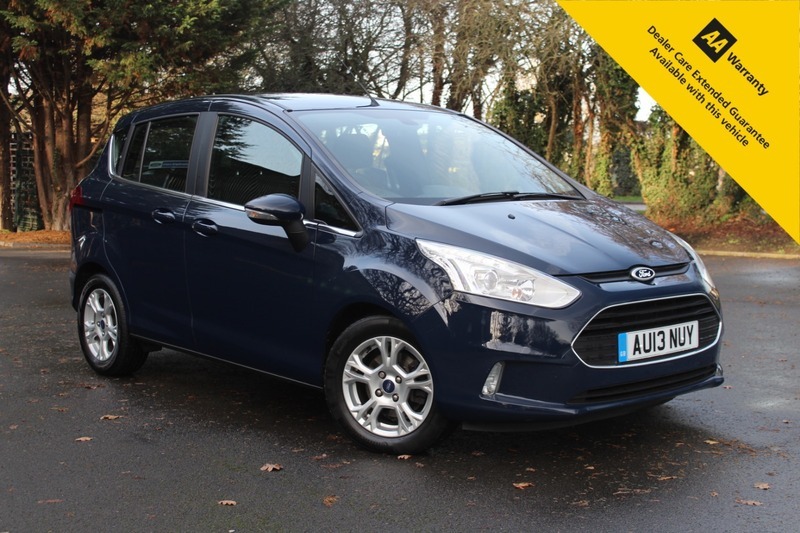 THIS CAR IS IDEAL FOR A GROWING FAMILY OR MAYBE SOMEONE LOOKING FOR EASIER ACCESS, WITH SLIDING REAR DOORS GETTING IN AND OUT IN TIGHT SPACES IS EASY! THIS CAR WILL ONLY COST YOU £155 PER YEAR TO TAX AND WILL RETURN YOU AN AVERAGE OF 44.1mpg, SO IS NICE AND ECONOMICAL TO RUN FOR AN AUTOMATIC WITH SO MUCH SPACE.